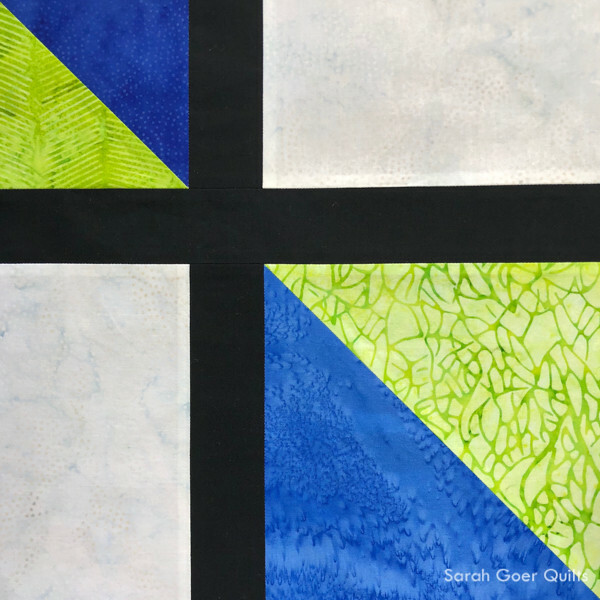 The products featured in this post were given to me by Island Batik and Aurifil. I'm pleased to be hosting TGIFF with my latest Island Batik finish. 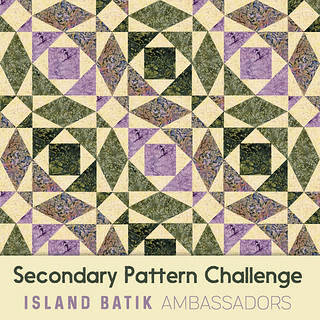 This month's Island Batik Challenge was to create a quilt using a block that created a secondary pattern when the block is repeated. The first thing that came to mind for me was The Bee Hive Quilts block tutorials (from a bee I participated in in 2015). They were all specifically designed with secondary patterns in mind. In my year in the bee I made numerous different blocks and one that I found was quick to sew an had a strong visual impact was the Checker block. I took this opportunity to use the solid black fabric from my recent Island Batik box. I paired it with a Paisley Dot print in blue, a couple Island Batik Foundations, and my new Island Batik neutral, Rice. Here's my first Checker block. I love the versatility of this block. Here are some possible settings. These each use 16 identical blocks and finish at 48" x 48". And finally... my finished quilt top. 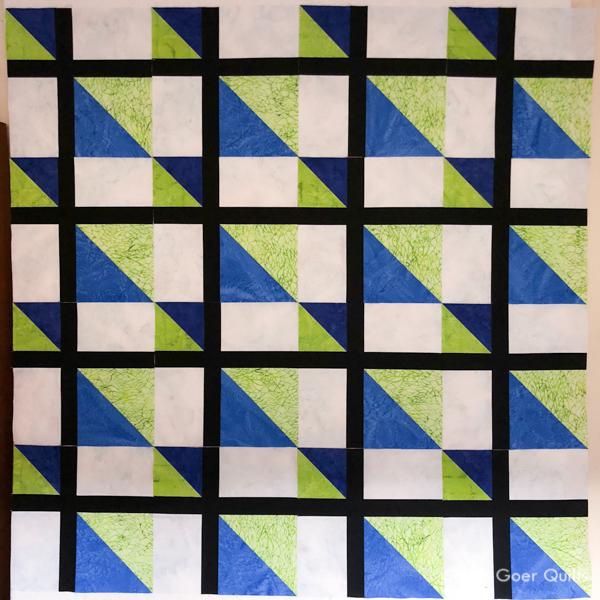 I opted for some simple gentle curve quilting with the walking foot and backed the quilt with the rest of the blues and greens from my Island Batik stash. You get a sneak peek of Petting Zoo in two of my backing fabrics. Next month I will be featuring a project with the entire Petting Zoo line. Please share your Friday Finish in the linkup below and be sure to hop around to view what everyone else has been up to this week! Thanks for visiting!! I've linked up to Needle and Thread Thursday. I've also linked up to the Q3 Finish Along finishes linkup. See my whole Q3 list here. Posted in Quilting. 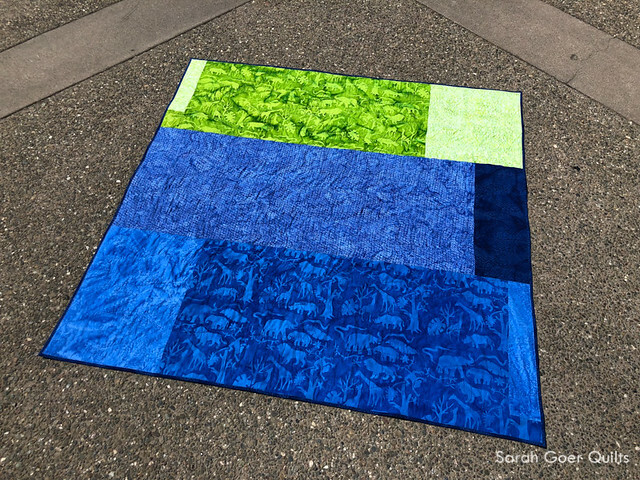 Tags: baby quilt, finished quilt, Island Batik, Island Batik Ambassador, TGIFF on July 26, 2018 by sarah. I enjoyed seeing all the layout possibilities for this versatile block! The colors just pop!! Looking forward to seeing what you create for your next IB challenge! Beautiful fabrics, great pattern, I love the different settings. Your quilt is very pretty! Thank you, Fred. I’m pleased with how it came out and how quickly it went together. What a great quilt! Love the variety of options! 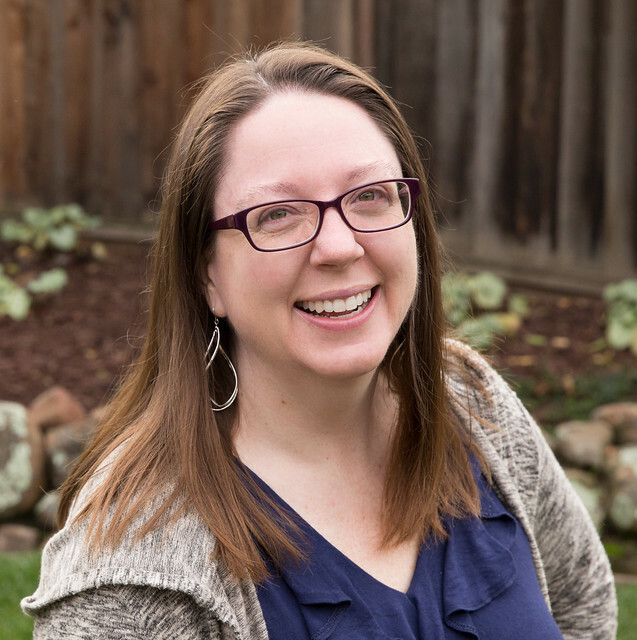 Thank you, Sarah, for doing the TGIFF this week! Thank you for visiting, Nancy. It’s fun to see what everyone has been working on. 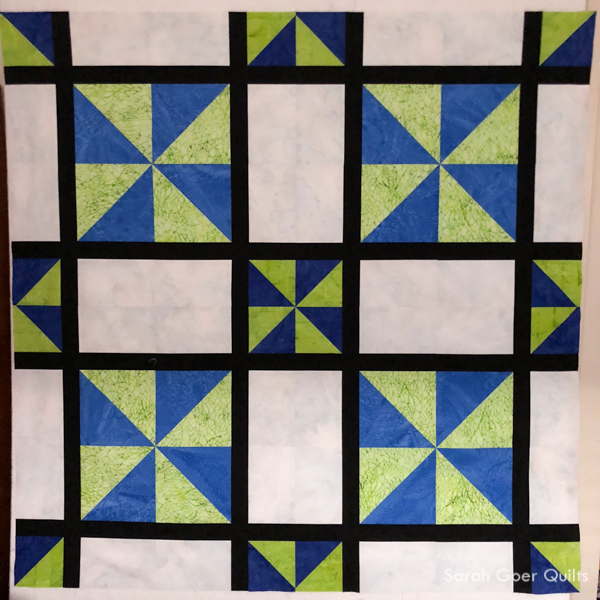 It is a fun quilt, I especially love the black that is included in the quilt! It's always a striking feature! This block design is great. It is crazy how many different patterns it creates depending on layout - some of them are rather calm (like the one you chose) and others look chaotic (the second layout?) Really interesting. Love the animal print on the backing fabric. i love your final layout. it looks stunning! Thank you, Elvira. I don’t know where it’s headed, but I love it! 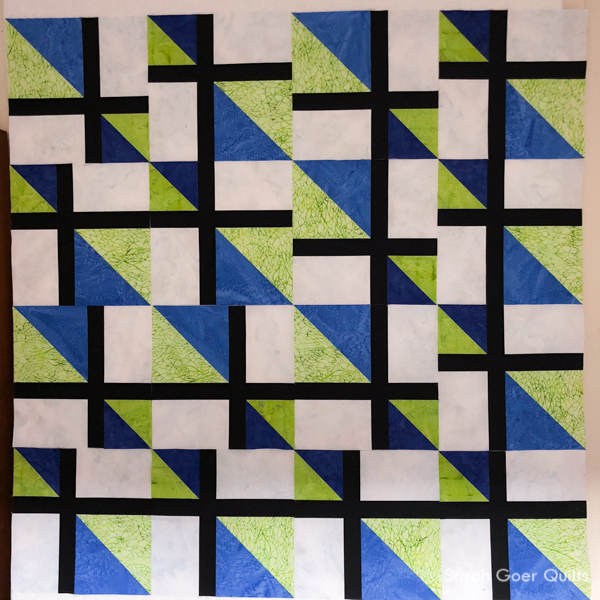 What a versatile block and a lovely quilt! It was a very thoughtfully designed block. 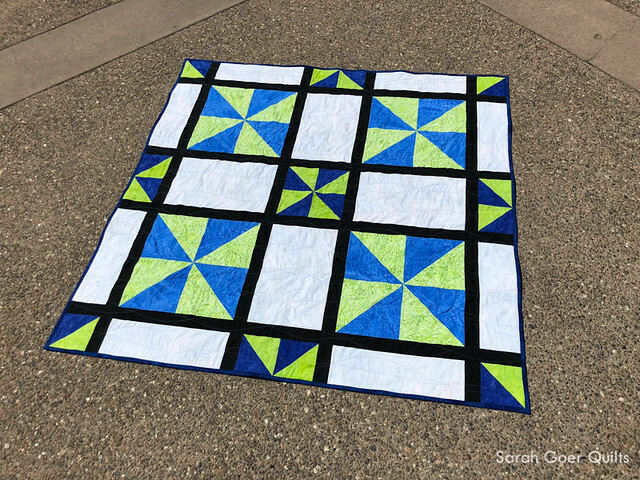 I’d love to make another quilt with a different look. Thanks for visiting! 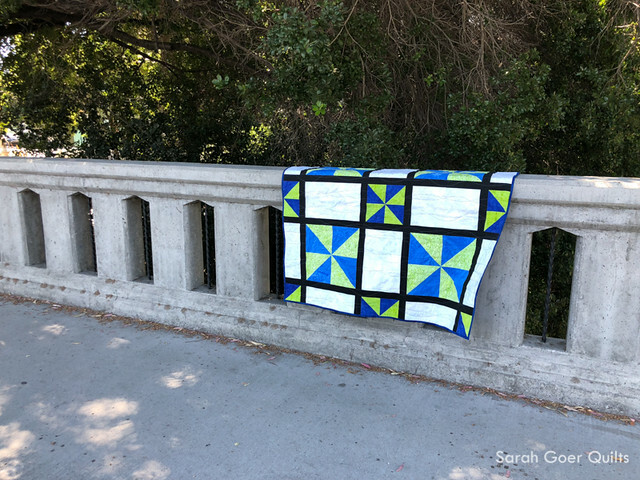 Your quilt is so bright and fun! I love the pieced backing, too. It's nice to be able to use bigger pieces of some of the fabrics. Thank you, Bobbi. The back was a “use what you’ve got” moment and I really love the color blocking that I ended up with. I really like this design and how you were able to show all of the fun secondary patterns that emerged from rotating the blocks. Thanks, Cheryl. I enjoyed playing with the blocks on the design wall. Wow...lots of great layouts with this block. Love the green/blue combo. Well done. 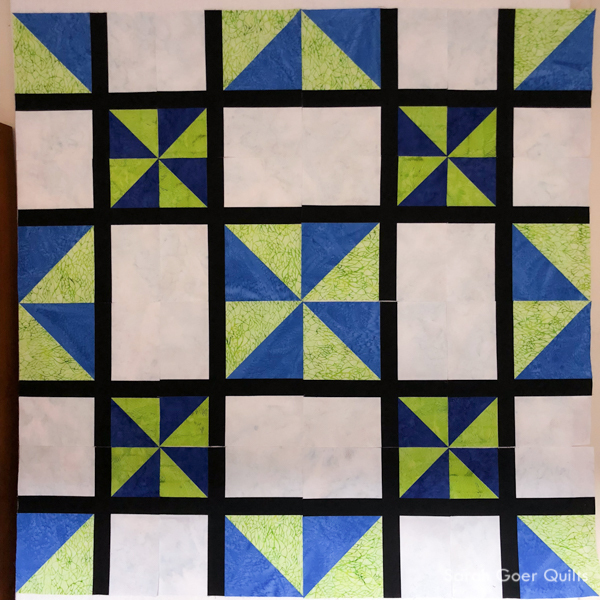 It was super helpful to see the original block and how it played to create the final quilt. I like the strong lines it creates to make a diamond in the center.